There’s something about the bygone-era charm of Augusta National that makes smoking a cigar at the Masters a tradition unlike any other. “Masters week is the equivalent of our entire Christmas season,” says Russell Wilder, owner of Top Shelf Cigar in Augusta. And even though Augusta, Georgia, passed a strict smoking ordinance that is now in effect, it's still legal to smoke on the course (or in the crowd). Wilder grew up across the street from Augusta and his quaint shop and lounge enjoys a nice bump in business every first week of April. Masters week accounts for nearly 12 percent of Top Shelf’s annual cigar sales. 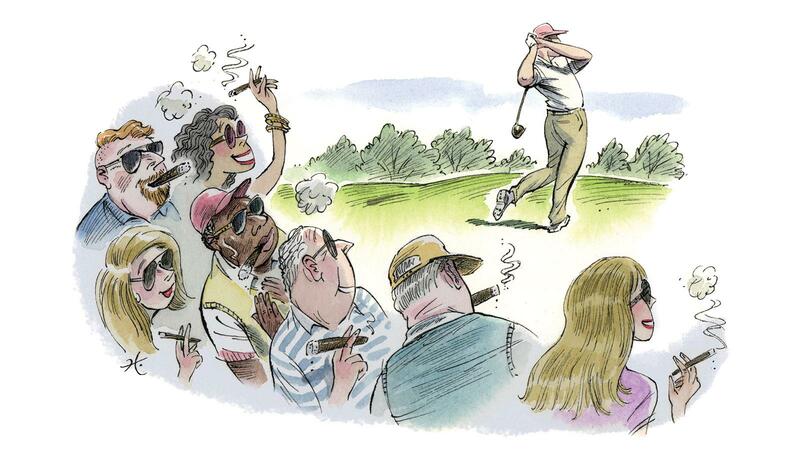 Pro golf is one of the last cigar-friendly spectator sports, so many fans—whether they are regular smokers or not—take advantage of the rare opportunity with a cigar in hand. Marcella’s is located just half a mile from the gates of Augusta National—certainly not a bad location for a cigar shop. In addition to its retail store, Marcella's plans to sell cigars in a temporary tent that will be set up across the entrance of Augusta National.